Candice Lill (left) & Helen Grobert (right), of dormakaba, lead from pillar to post on Stage 1 of the Momentum Health Tankwa Trek, presented by Biogen. Photo by Zoon Cronje. 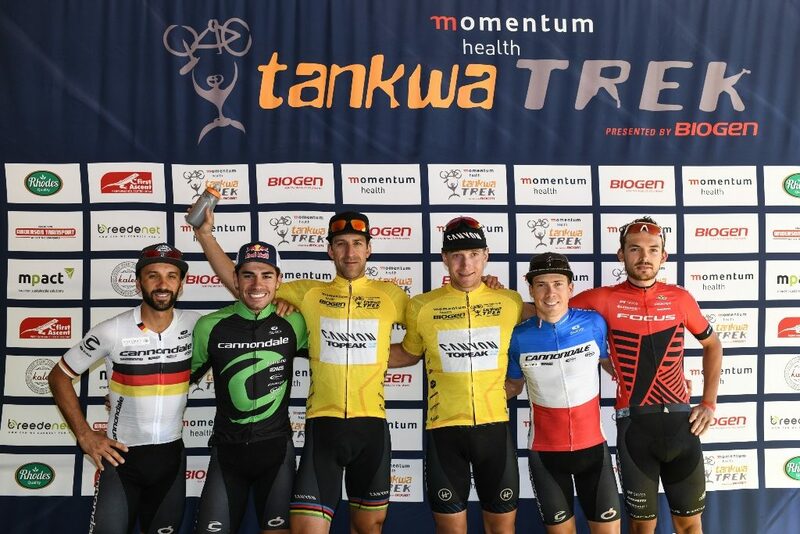 Canyon Topeak Factory Racing and dormakaba fought their way to very different but equally courageous stage victories on the opening stage of the 2018 Momentum Health Tankwa Trek, presented by Biogen, on Friday the 9th of February. 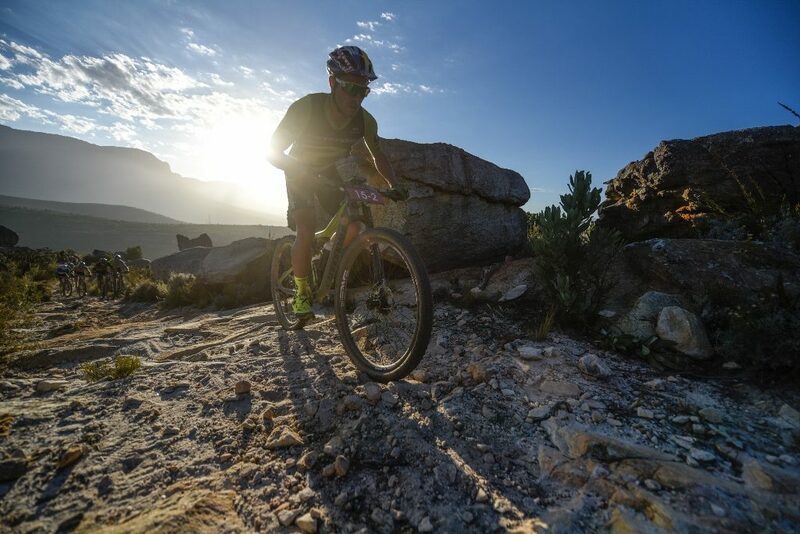 The 83 kilometre long opening stage took in 1 900 metres of climbing and encircled the beautiful Witzenberg Valley; along the technical singletracks built by local mountain bikers Hannes and Sakkie Hanekom. Both the men’s and the women’s races got off to frenetic starts with the cross-country specialists, Manuel Fumic and Henrique Avancini of Cannondale Factory Racing 1 and their support team of Maxime Marotte and Marcel Guerrini setting the pace. 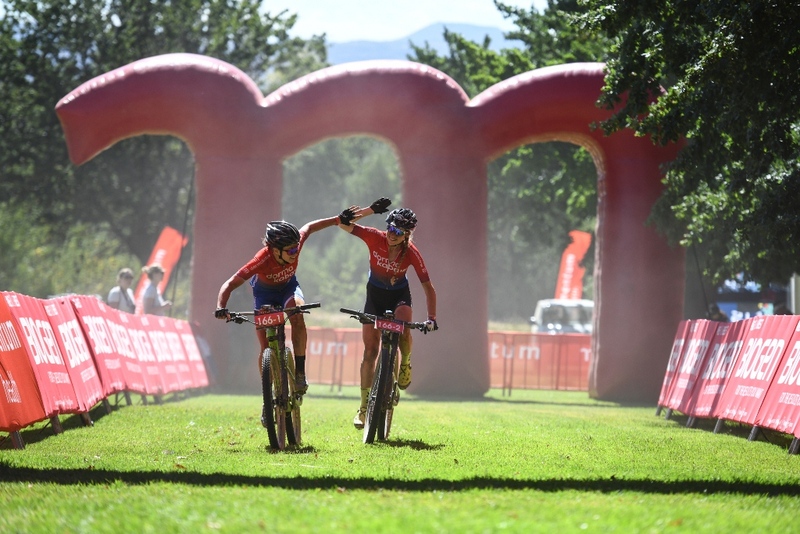 Philip Buys and Matthys Beukes of PYGA Euro Steel and the Centurion Vaude by Goldwurst Power combination, of Nicola Rohrbach and Daniel Geismayr, were also instrumental in ensuring the kilometres ticked down at a rapid rate. The women’s pace was set by the eventual stage winners; Candice Lill and Helen Grobert of dormakaba. Lill said after the stage that it had been the plan to start fast all along. 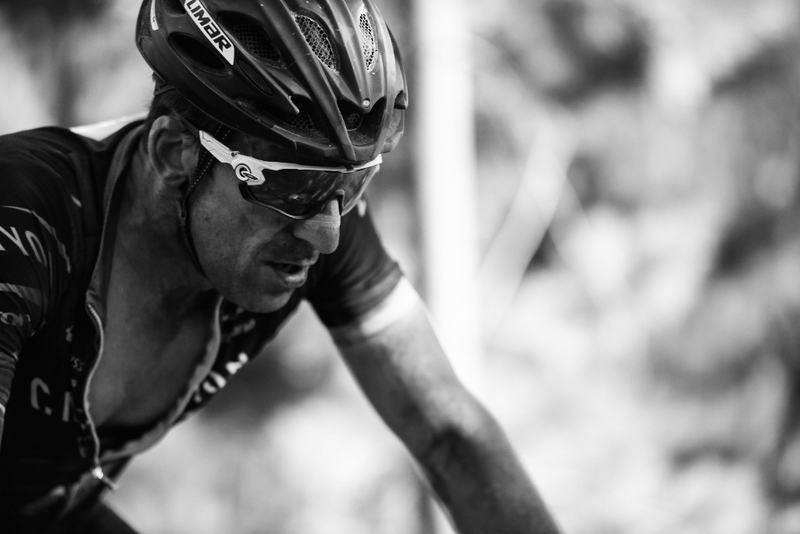 “I’ve raced the Tankwa Trek a few times now and I know the route quite well. So we planned to get into the singletrack first and control the pace. I was quite surprised to see we had opened a gap on the first singletrack climb and though it came back together a few times after we had opened a gap the other teams had to keep expending energy to catch us” she explained. The men’s race was blown apart on the lower slopes of the day’s main climb. Only Buys, Beukes, Alan Hatherly, Simon Andreassen, Marotte and Guerrini could follow Fumic and Avancini initially. Despite not being in touch on the lower slopes Alban Lakata and Kristian Hynek were able to make steady inroads on the climb though and by the summit, at the 55 kilometre mark, the Canyon Topeak pair was in the leading group. 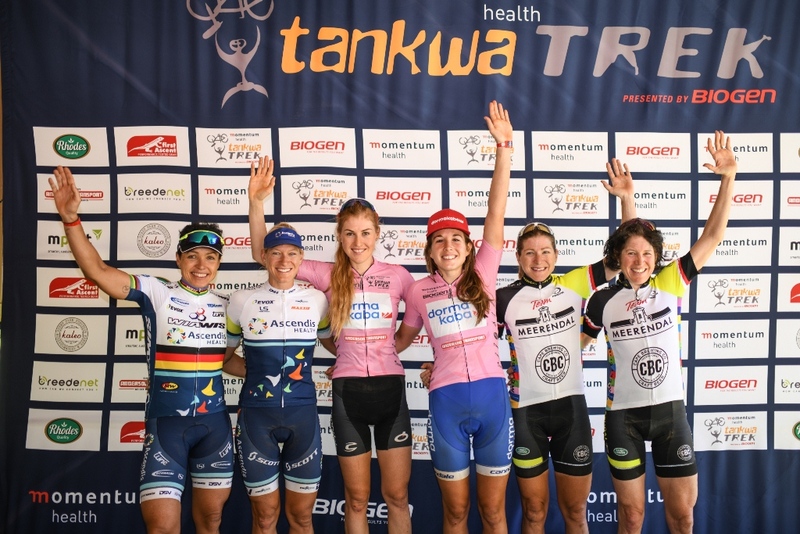 The pace was frenetic from the off in both the UCI elite men’s and women’s fields on Stage 1 of the Momentum Health Tankwa Trek, presented by Biogen. Photo by Zoon Cronje. “Alban (Lakata) lost me in the dust, and thought I was behind him. So he stopped, then Erik (Kleinhans) caught him and said I was ahead” Hynek explained, as to why they had lost touch with the leaders. Once Lakata and Hynek joined the leading group they went to work shedding the other teams. By the fourth water point, at the 72 kilometre mark, it was only the Cannondale teams who were able to live with Lakata and Hynek. The stage came down to a sprint finish but with only Avancini able to challenge Lakata and Hynek the Canyon Topeak pair were able to claim the stage victory relatively comfortably, although on the clock the gap to Cannondale Factory Racing 1 is a single second. Cannondale Factory Racing 2 was third 6 seconds behind Lakata and Hynek. Alban Lakata and his Canyon Topeak Factory Racing partner Kristian Hynek raced back from a one minute time deficit to claim the stage victory. Photo by Zoon Cronje. The decisive moment in the women’s race came on the descent from the highest point of the day. At the 55km mark; dormakaba had Meerendal CBC’s Jennie Stenerhag and Esther Süss for company, with Robyn de Groot and Sabine Spitz of Ascendis Health 15 seconds back. 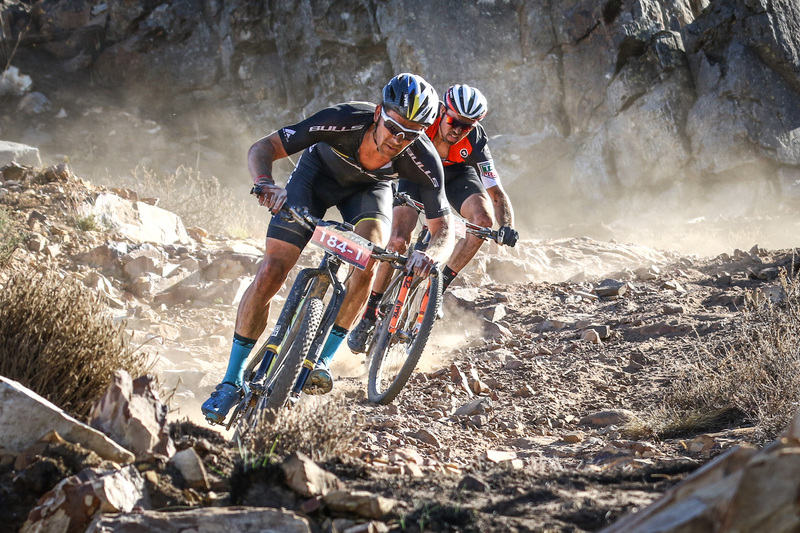 By the bottom of the descent, at the 60 kilometre mark, the gap was up to nearly a minute and a half – which Lill and Grobert were able to maintain to the finish. The battle for seconds was contested throughout the final 23 kilometres between Stenerhag and Süss, and De Groot and Spitz. The Ascendis Health pairing slipped away in the final few hundred meters to gain 5 seconds on their rivals. The defending champions, Stenerhag and Süss, lie 1 minute and thirty seconds behind the dormakaba race leaders – but with two challenging stages remaining both the men’s and women’s would-be champions have it all to race for. The women’s field boasted a phenomenally strong line-up, filled with past and present national and international champions. Photo by Zoon Cronje. Saturday’s Stage 2 is the Queen Stage. 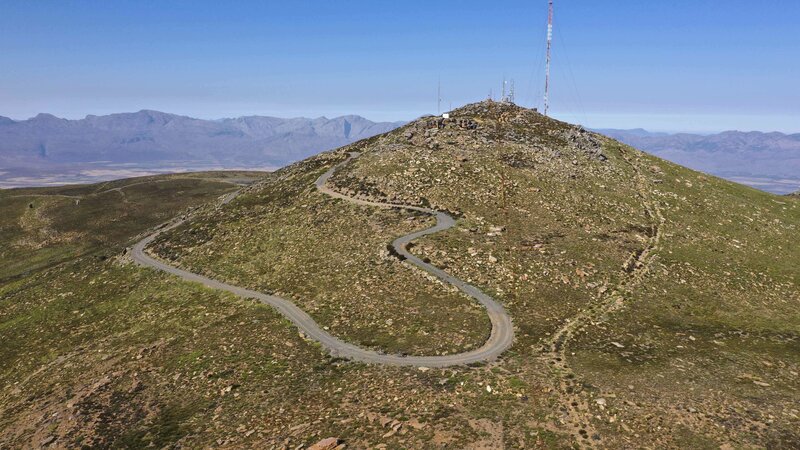 It takes in the infamous Merino Monster, which rises 686 meters in 7.7 kilometres at an average gradient of 9%, in the 87 kilometre long stage. 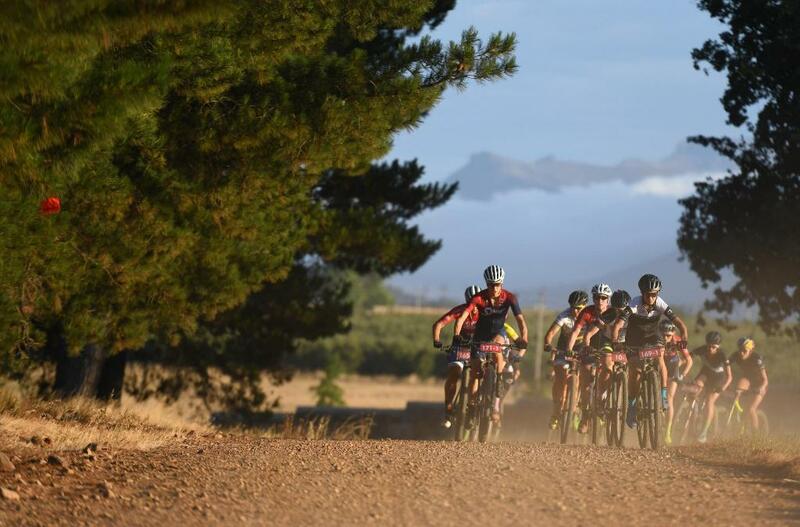 Along with the opportunity for decisive general classification time gains, the R10 000 spot prize for the King and Queen of the Mountain – for the first men’s and women’s teams to reach the top of the Merino Monster – will add to the drama of the day. The fires which swept through the route on Tuesday before the race have left the trails dramatically exposed in the blackened landscape. 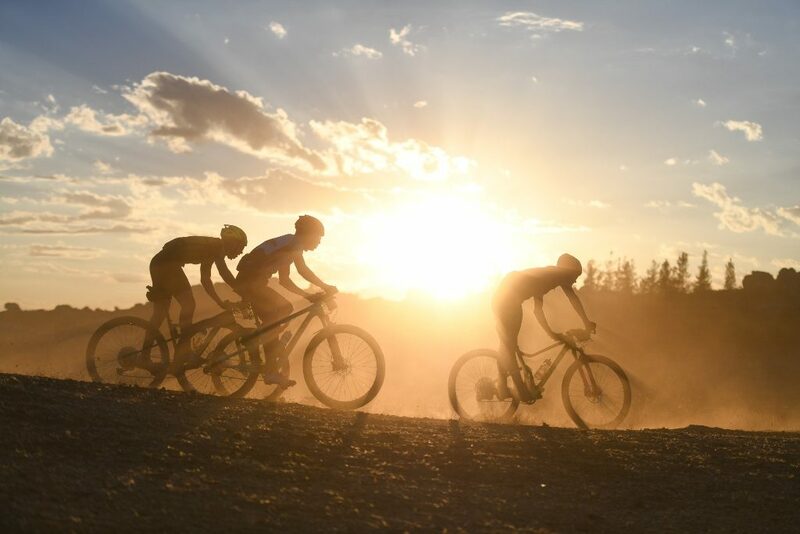 They have also affected the cellular reception in the area, and as a result coverage of Stage 2 of the Momentum Health Tankwa Trek, presented by Biogen, might well be limited. 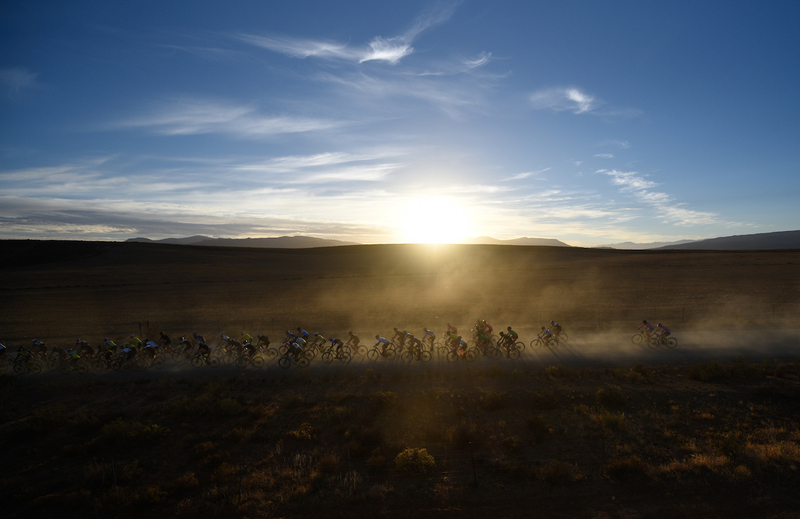 None-the-less mountain biking fans can follow @tankwatrek for updates from the route. Henrique Avancini, of Cannondale Factory Racing 1, was arguably the rider of the day; spending large periods of time on the front of the lead group and even crossing the finish line first. Photo by Zoon Cronje. Momentum Health Tankwa Trek, presented by Biogen, Stage 1: UCI Elite Men’s Podium. From left to right: Manuel Fumic, Henrique Avancini, Alban Lakata, Kristian Hynek, Maxime Marotte & Marcel Guerrini. Photo by Zoon Cronje. Momentum Health Tankwa Trek, presented by Biogen, Stage 1: UCI Elite Women’s Podium. From left to right: Sabine Spitz, Robyn de Groot, Helen Grobert, Candice Lill, Jennie Stenerhag & Eshter Süss. Photo by Zoon Cronje. For the full results and more information please visit: www.tankwatrek.co.za.